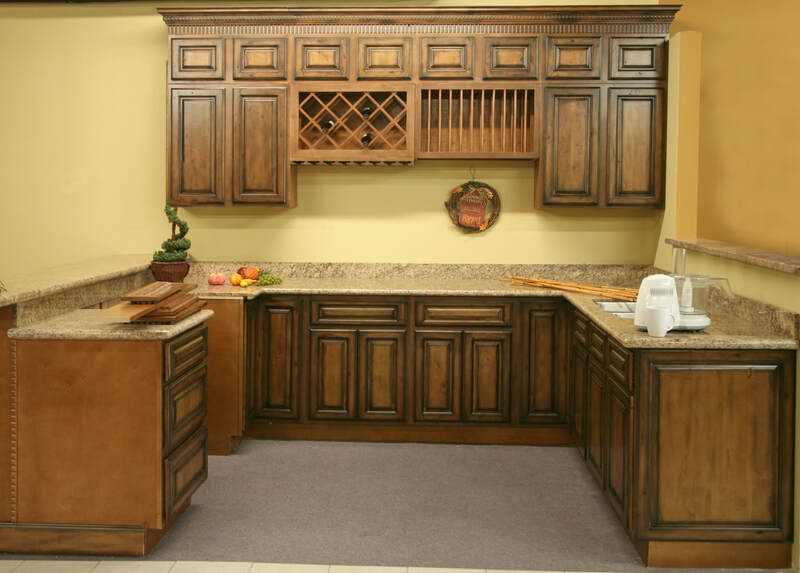 The way I like to have my style for my custom cabinets is I don’t like to have any end grain going except for underneath the custom cabinets where people aren’t going to really see it. I will cut my outside left and outside right of my custom cabinet styles from top to bottom so this is one the section of that frame is one piece. That way I let the rails that go horizontal go to the edge of the custom cabinets. I like that rather than cutting it. If you cut it then you could possibly see it when your custom cabinets are finished. Once all of the pieces are cut to the precise measurements then I drill pocket holes in each of the pieces that are going to go into the join up against the other pieces. After that we just drill the pocket screws in there and again I’ll explain this entire process for the lower custom cabinets but for now just to get an idea of what goes on so once those space trains are put together then I basically apply a stain and wipe on polyurethane this has one coat of urethane on it. I’ll put another coat on it today before let it be so that it’ll be ready sooner appose to later. Typically I put three or four coats of this wipe-on poly urethane on my custom cabinets but for sake of this project getting done in the time restraint I have I am just going to put two coats on this custom cabinets.